The phone has been fully paid for. The current and previous owners don't owe any money to Sprint. If the phone is a prepaid phone (Boost, Virgin or Sprint Prepaid) it must have been used on that prepaid service for at least a year. The phone has not been reported lost or stolen. Unfortunately Sprint's implementation of the new rules is flawed. Many phones that Sprint will tell you are clear to activate, including brand new phones purchased at full price and about half of all previously eligible used phones, are failing Sprint's MVNO activation process. See Updated: Sprint MVNO BYOSP is Badly Broken for more information. Be extremely careful about purchasing phones for use on Sprint MVNOs. Check that any phone you intend to buy is clear by using the Ting ESN checker, RingPlus checker or FreedomPop checker. Other checkers, including Swappa's, may not have been updated to be aware of Sprint's new financial eligibility requirements. As long as you have Sprint coverage where you need it, Sprint MVNOs have a lot going for them. Plan prices are generally good, especially for data. Most Sprint MVNOs offer inexpensive international calls and texts. And to top it off, used Sprint phones tend to be less expensive than equivalent models for other carriers. Unfortunately, Sprint has very strict rules about which BYOP (Bring Your Own Phone) devices their MVNOs are allowed to activate. Like all carriers, they block activation of so called "bad ESN" phones, devices that have been reported as lost or stolen or where the last owner owes Sprint money for service or an early termination fee. Sprint also blocks phones made for its Boost Mobile, Virgin Mobile and Assurance Wireless prepaid brands. All carriers block activation of bad ESN phones and Verizon blocks its MVNOs from activating branded prepaid phones. But Sprint goes beyond the other US operators by blocking compatible CDMA phones from other operators as well as all BlackBerrys, all Push To Talk (walkie-talkie) phones and all Palm OS and WebOS phones. Most annoyingly for users who like to have relatively new phones, Sprint MVNOs are blocked from activating all phones that Sprint released in the last twelve months. That means that you need to wait at least a year to use the latest and greatest phones on Sprint. Here's a handy table listing which recent Sprint phones allowed and which are blacklisted and when the 12 month blacklist ban is expected to expire. 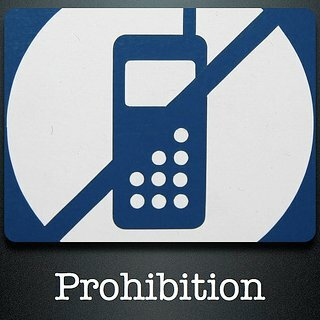 Phones are generally removed from the blacklist about a month after the "One year aniversary" data listed in the table. I will do my best to keep this list updated as new phones are released and older ones reach their first birthday. If you don't see the phone your are interested in, check Sprint MVNO RingPlus' or Ting's lists of allowed and banned phones. Last updated 12/16/14: Samsung Ativ S Neo, Samsung Galaxy S4 L720T, Motorola Moto X (1st gen), LG G2 and HTC One Max are now allowed. Image by dougbelshaw on Flicker Some rights reserved. Thank you very much for posting this! This really helps--now we know exactly which phones will be allowed when, so we can know whether it's worth purchasing a certain phone in anticipation of its anniversary date. I find my average 3g speeds on Verizon using a Rev A phone to be faster than my average speeds using Sprint. Sprint Wimax, LTE and especially Spark can be fast but most of the time Sprint is 2g speed or slower. Give me Verizon's stable consistent 1-2.5 MBS all over the country any time over Sprint's slow unreliable limited coverage. The only list of its kind that I know of. Because the Republic Moto X is not a Sprint phone, it's a Republic phone. The blacklist only applies to BYOP phones. Sprint allows MVNOs to sell phones they buy directly from manufacturers. Anybody heard whether the Optimum F3 is off the list yet? and this is why sprint is an AWFUL company and thousands of previous customers drop them every quarter. It sounds like either the phone is blacklisted for a different reason (non-payment, lost, stolen) or RingPlus or Sprint needs to update their database of allowed phones. Contact RingPlus, they should be able to tell you why the phone is blacklisted and if the problem's on their side they should be able to fix it. If it's a Sprint issue, RingPlus as a Sprint partner, may be able to get Sprint to fix it. If they can it means Sprint's not blocking it. You can check your MEID at https://ting.com/byod and if it's clean and RingPlus can't activate then it's a RingPlus issue. The Moto G is not a Sprint phone. It's a Boost phone and Boost phones are permanently blacklisted on MVNOs. But several people have been able to activate Boost Moto Gs on Ting. That's a glitch that Sprint will probably eventually fix. Sprint is shooting itself in the foot. Verizon, AT&T, and T-Mobile MVNOs don't have blacklists. Is it a case of shooting itself in the foot... OR MISSING the TARGETS altogether? Maybe it doesn't carry over in the phone market exactly,, but most folks know to steer clear of low resale value vehicles (without knowing another reason) as it often can have something to do with reliability issues, other problems, obsolescence, etc.... i.e. the good stuff doesn't sell cheap..
that new mvno's are still trying to operate with more than just one hand tied behind their backs....(fighting sprint's own multiple brands Boost, VM etc. coverage issues and speed (real or perceived)-- and the strictest phone selections... that even customers from sprint's branded mvnos phones can't be used elsewhere..
How can those temporary price cuts really help that much.?.. from some other post or comment... got the impression that the new tri band Spark Lte doesn't allow multitasking? (talk and text at same time?) Does anyone using Sprint Spark now know if that's true? as If it is then it doesn't sound at all like an advanced forward thinking network? how low should their data prices really go? I've read everywhere that Spark is a major downgrade due to its lack of multi-tasking. It's not multitasking (running multiple apps simultaneously) that's broken on Spark phones, it's simultaneous voice and data (such as surfing the web while in a phone call). It's a limitation of the current radio chipsets that support carrier aggregation and should be fixed when Sprint implements VoLTE. the lack of " simultaneous voice and data" was my understanding... but sorry for originally confusing the issue with the multitasking term.. Still it's a disappointment for now (and for how long?) ....as today wouldn't most smartphone users expect to surf the web while in a phone call? especially when a carrier promotes their Spark LTE as a new network? Why is the Ativ S Neo blacklisted if it is truly passed its anniversary on August 16 ,2014? We will see the iPhone 6 introduced on Boost in the next couple days. I can confirm pricing will be $549, locked to Boost as usual. Watch their website. In anticipation of this move, the 5C will be dropping to $349 and the 5S will drop to $449 tonight, both with $50 port in credits. along with many other phones. But your table shows it as being LTE only, not tri-band. Can't imagine why anyone would deal with such hassles just to use a particular phone service unless it is the only one in your market with good coverage. And I can't believe there are many places where that is the case with Sprint. Boost doesn't use the blacklist, they use a whitelist on phones that were sold specifically for Boost. Only Boost Mobile phones work on Boost Mobile. You can use your T-Mobile Nexus 5 on any GSM carrier but not Sprint, Verizon or their MVNOs. But the nexus 5 is unlocked already and supports all carriers and bands ... What is a whitelist ..thx u ..
A whitelist is a list of allowed phone serial numbers. Even if a phone is technically compatible, CDMA operators inclung Sprint and Verizon will block the activation of phones that aren't on their whitelists. Hi Dennis I was wondering if its true that lg g 2 might come to boost mobile ... Any news about a nexus ? Can a Desire 510 be programmed to work on Postpaid? As far as I know it can't. Hello Dennis, I bough an iPhone 5 which has clean ESN imei# verified through Swappa website showing iPhonee is activation ready through Sprint/MVNO. Sprint says iPhone has been flashed & cannot activate? Any feedback is appreciated & thanks for posting this website. It's not clear what you are trying to do. Do you want to activate the iPhone on Sprint or a Sprint MVNO? It's impossible for Sprint or anyone else to tell if a phone is flashed or not based on just the IMEI. If the IMEI is clean Sprint will accept the phone and activate it at the network level. But if the phone has been flashed to work on a non-Sprint network it will fail the over the air activation until it has been properly unflashed. A Sprint Prepaid phone will only work on Sprint Prepaid. Only Sprint postpaid phones can be used on Sprint MVNOs. good morning does anyone know if nexus 6 can be activate on boost mobile???? No, only Boost Mobile phones can be used on Boost Mobile. Is it possible to switch a sprint phone to boost mobile? No, phones with non-Boost serial numbers are blocked from activation on Boost. Sprint phones can only be activated by Boost Dealers not online. I have a clean esn sprint galaxy s4 and called boost mobile to try to activate on my boost account. The rep said I have to take it to a boost store so they can activate it for me. Was the rep BSing me? Ok I figured. Looks like the only way to get that phone on boost is to flash it over. Thanks for the reply. I've been waiting (for a short bit) for Freedompop to accept the Galaxy Mega. Well, now they do (and I found this out by trying on their website, they DID NOT send me an email as far as I can tell) but they say it's not eligible for free data. Voice and text are available. I'm wondering if there are 2 different "black lists": one for activation at all and another for activation of cellular data? FreedomPop has their own BYOP whitelist and the Samsung Galaxy Mega is not on it. It can run the FreedomPop app for free calls and messages using WiFi or another operator's network. Yes, I finally figured out that their offer was for their voip app, not for actual cell service with the Mega. I'll keep an eye out and maybe they'll add support eventually. Will an iphone 5s from Sprint work with assurance wireless? No, you can only use Virgin Mobile phones that aren't BlackBerrys, IPhones or Android phones on Assurance. The Note 3 and Mega are not available from Boost or Sprint Prepaid. However you can use a Sprint postpaid Mega or Note 3 on a Sprint prepaid MVNO like Ting, RingPlus, Expo Mobile or Ecomobile. I am trying to take a sprint Samsung Galaxy note 3 to straight talk and I'm having a lot of trouble. I am sure it has to do with some kind of contract block by sprint. Is there any way at all to resolve this issue. I signed up with a friend's sprint plan and we are no longer friends. She has cut off my outbound calling to be spiteful. I paid for the phone but she signed the renew contract for her family line. Am I out of luck here? If there's money owed on the phone or for an early termination fee, Sprint will blacklist it. Either pay what Sprint wants or sell the phone as a bad-ESN phone for parts only. Oh man that is not good news. Well the phone itself is still active. I can text and use data. Is it possible to unlock the phone to port it to a new service? I'm really in a pinch and she is really being unreasonable. I have asked her to let me put the line in my name to remove it from her plan, but she refuses. I am also afraid she will report the phone lost/stolen and I will be out of options entirely. Please help if possible...thank you for your fast reply. As long as the phone is active on Sprint it can't be used on any other operator. Sprint needs to release the phone which they will only do for the account holder which you aren't. As long as data works you could use the Hangouts Dialer app to make calls. Thanks again. I will chalk this up to a lesson learned. I have a Samsung Galaxy note 2 CDMA from sprint that my friend will sale me. Everytime I put it on byod straight talk it tells me I need to buy a network access code an when I go to buy online it has me put information in again then tells me no coverage in zip code.Any advice on if it will work on any no contract plan. LTE stands for "Long Term Evolution" It's a faster data technology, so it's a good thing. - Try turning the phone off for a minute or two and than back on. - If that doesn't help report the issue to your operator as it could be a network issue that they can fix. - If it's not the network your phone's microphone may have failed. As a workaround until you cam replace the phone, try using a wired or Bluetooth headset or speaker phone. Got a question any news on when the nexus 5 thats blacklisted will be allowed its been about a month now ? The Sprint Nexus 5 should be permitted now. However, I'm still waiting for confirmation that it's allowed from Ting or RingPlus or reports of successful activations from users before I remove the "banned" label from it. If you have the phone try entering its IMEI on Ting's checker at https://ting.com/byod It will tell you if the phone is allowed or not. I checked it out thnx . it said that it well be allowed in Feb once gsm service is launched .. I had tmbolie before and it was financed but I paid it off I have to wait 72 hours for it to clear from the system they told me I think that's why my imei is coming as gsm but looks like it shud be working thnx again . I have a different question what's this new boost mobile/sprint unlocking policy for next month what dose it mean for boost do u no any info . So I bought a regular sprint Samsung S3 (not prepaid) and activated/used it on Flash wireless networks. Then just recently sold the and now it can't be activated on the regular sprint service because when I had the device activated thru Flash wireless networks, their system rooted/jailbroke the device. Can thus be reversed so it can be used on a regular sprint contract account?? I don't know who or what "Flash wireless networks" is but whoever flashed your phone should be able to un-flash it so it works on Sprint. Actually any competent flasher should be able to. For a fee of course. After reversing the flash, it is easy for any MVNO to change the provider code from PBL back to SPCS so that the phone can be used on Sprint again. A competent Sprint store tech can also do this. Can An HTC One M8 Be Changed To Boost? Is the galaxy s4 tri-band still blacklisted since today is it's anniversary cuz im trying to use it on boost? Can a HTC One M8 be changed from Boost or Sprint to Verizon? No, only the Sprint version of the M8 can be used on Sprint and only the Verizon version can be used on Version. Currently no version of the M8 can be activated on Boost. Does this mean I can use the Iphone 5s or 5c on Boost Mobile and is this even possible? Not at the moment, Boost only allows Boost branded phones and a small number of Sprint postpaid phones on their service. If your iPhone is unlocked or locked to AT&T, you can use it on Cricket which offers similar plans. Including 2.5GB for $35 (with auto pay) and 20GB for $55 taxes included. Cricket also has better coverage, on the AT&T network, than Boost. What about these devices and Straight Talk? I noticed ringplus was selling the galaxy's s5 so does that mean we can use it with them? I know the anniversary says April but I'm just a bit confused when I saw them selling the phone to use on their service. I have a contract sprint note 3 that i upgraded to s6, can someone use it on sprint prepaid(note 3)? Hi i have a question, If i buy a nexus 5 sprint model with bad esn. can the phone work with Tmobile, ATT or H2O. Accounting to the data above the phone should be good after a year? can you please confirm that.???? thank you..
Go ahead and buy it. Then, when it does not work you will have learned not to buy from thieves and deadbeats. That's what it takes for some greedy people to understand. No, the rules for Boost are different. The phone has to be on this list: Activate a Sprint Phone FAQs | Phones & Devices FAQs | Boost Mobile and the G3 currently isn't. Can I Use lg g3 sprint on R+. Did it come off the black list? A lot has changed since this article was published. There's no longer a blacklist. As long as your LG G3 wasn't associated with an account that owes Sprint money and hasn't been reported lost or stolen it should work on RingPlus. My son has a postpaid plan with sprint. His phone is broken and is not eligible for upgrade. If I purchase a boost mobile moto e, can it be programmed to work with the postpaid sprint plan? is the samsung galaxy ring allow or blacklisted? There's no more blacklist. Please read the first paragraph to determine if your phone meets the the requirements to be used on a Sprint MVNO. HOW CAN I FLASH MY SAMSUNG VIRGIN MOBILE GALAXY RING TO ASSURANCE WIRELESS? Please don't post in all caps. It's hard to read and makes it look like you're yelling. Doesn't Assurance give you a free Android phone if you qualify? Any current Android phone is probably better than a Samsung Ring which is four year old low end device. As far as flashing a phone to Assurance, I don't think that's possible. Assurance is part of Virgin so it might be possible to activate your Virgin Mobile phone on Assurance as is. Ask them. whats is on sprint MVNO ? Some Sprint MVNOs include FreedomPop, Ting, Tello, Twigby, RedPocket, ChitChat, Expo Mobile, Ecomobile, Republic Wireless, Real Mobile and Boom Mobile. what about virgin phones do they have sprint MVNOs ? A Virgin Mobile phone must be used on Virgin Mobile for 12 months before it's allowed on a Sprint MVNO. allowed on sprint MVNO ? Sprint sells their prepaid phones at reduced prices to attract customers to their own services. MVNO customers are less profitable to Sprint and they don't want to subsidize MVNOs by being a source of cheap phones for them. Sprint owns the network and gets to make the rules. what does it mean when a phone is blacklisted?